On Saturday, November 7, Xi Jinping and Ma Ying-jeou, the current chiefs of governments in Beijing and Taipei that have confronted each other with varying degrees of hostility ever since the 1940s, met briefly in Singapore. Under a world-wide spotlight, the two men read short statements. I have no doubt that Ma chose his words carefully and consulted with others before delivering them. As for Xi’s statement, it is quite impossible to imagine that something so conspicuous would not receive the closest attention from C.C.P. wordmeisters. This is not to say that Xi lacked control of the message; he had, I’m sure, final say over all matters. The role of word workers would have been to assist him with word selection, frequency of word use, and subtleties of connotation. What was said at internal meetings in China where Xi’s wording was discussed? We have no direct sources on this question, but certain things can be inferred with considerable confidence by looking at the results. Xi refers to the people in Taiwan as tongbao (同胞), a term often translated as “compatriot” but that actually implies a much closer relationship, something like “born of the same parents.” He uses the term eleven times; it accounts for fully 3 percent of the characters in the entire statement. Ma Ying-jeou doesn’t use it at all. Xi also refers to “the great revival of the Chinese nation,” a staple of the C.C.P.-sponsored “China dream,” while Ma does not. Some of the terms in both statements were clearly negotiated between the two sides in advance. The international press has widely reported that one such agreement was the use of “mister” (xiansheng, or 先生) for mutual address. This choice sidesteps the obvious political problems in using the titles that are customary for the two men: zhuxi (主席) “chairman” for Xi or zongtong (总统) “president” for Ma. Xiansheng seems neutral. I doubt that deliberation over the matter in Beijing ended there, however, because in Chinese Communist polemics, xiansheng often is not neutral at all. It is frequently used ironically, in order to distance an adversary. If you are disagreeing with someone in Chinese and say Zhang Mou renwei X, keshi wo juede (Y 张某认为X，可是我觉得Y), “Zhang So-and-so thinks X, but I feel that Y,” you can put a bit more distance between yourself and Zhang, and a bit more bite as well, by adding “xiansheng”: Zhang Mou xiansheng keyi you ta de kanfa, dan… (张某先生可以有他的看法，但…), “Mister Zhang So-and-so can have his opinion, but…” Xiansheng does not automatically imply this distance, but when it does, the point can be sharp and even sarcastic. Another term that doubtlessly was negotiated in advance is lingdaoren (领导人) for “leader.” Xi and Ma both use the term only once, each near the beginning of his statement. Moreover, it seems even-handed that they acknowledge there to be lingdaoren equally in both places—“of Taiwan and the mainland” (Ma) and “on the two shores” (Xi). This parallel use of the same term cannot have been accidental. But is the usage really even-handed? In one important sense it is not. The Taiwan side lost something significant in this negotiation because the term lingdaoren (or lingdao, for short) is a C.C.P. term that has, in fact if not in theory, strong anti-democratic connotations. I would wager that C.C.P. negotiators insisted on using it. On the mainland, lingdao are the people who call the shots inside all the significant organizations in society. In the late Mao years, lingdao controlled whether you could buy a bicycle—let alone go on a trip, take a job, or get married. Today personal life is much more flexible, but the iron undergirding of society still rests wholly in the hands of lingdao, and power within the lingdao system still moves from the top down, not from the bottom up. So lingdao does not really mean “leader” in the sense in which a healthy democracy conceives the term. It means something closer to “ruler” or “boss.” Why, then, did Ma and his advisers agree to use the term? They could have stuck with something like lingxiu (领袖) “leader,” which is more familiar to people in Taiwan and lacks the Communist connotations of lingdao. 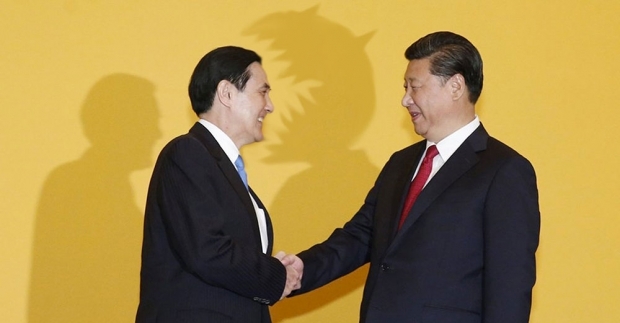 Shortly after the Xi-Ma meeting, Tsai Ing-wen, leader of Taiwan’s Democratic Progressive Party, issued a statement wondering why Ma Ying-jeou’s statement does not use the phrases Taiwan de minzhu (台湾的民主), “Taiwan’s democracy,” or Taiwan de ziyou (台湾的自由), “Taiwan’s freedom.” These are good questions. Ma’s statement not only lacks the phrases that Tsai points to; it does not include the words minzhu, “democracy” or ziyou, “freedom” at all. The omissions are disappointing, and far out of step with public opinion in Taiwan. How does one explain them? More negotiation with the P.R.C.? Or merely self-censorship?